Surinder Sahni: Yesterday, I saw her for the first time, and as I saw her, I immediately fell in love. A delicious over-cooked Indian dinner. A poorly tailored trailer does not begin to describe what is one couple's journey from the ordinary Jodi to extraordinary Jodi. It's a Simple life story of a ordinary couple which goes from many ups and downs and finally typical Indian ending. What else one can need ?? My first impressions were, 'WOW, this Shahrukh guy has a tremendous screen presence (but, yikes, what a profile!)' and 'I love the old guy with the black hair' but still the potential of the character is very real with a touch of grass root and it's totally judged by king Khan. This is ShahRukh's best performance after "SWADES". 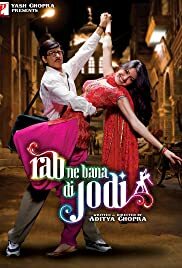 "Rab Ne Bana Di Jodi" is a common man real life drama made into a modish glamorous movie. The film has a knowable love story made to look like an extraordinary film by Aditya Chopra as it comes with intense emotions, songs, dances, drama and succeeds in touching hearts of audiences. You enjoy, cry and have fun watching the film. Performance of Shahrukh is at its best and Anushka is made to match him. Aditya Chopra writes and directs ably proving that his first movie "DDLJ" was no fluke . 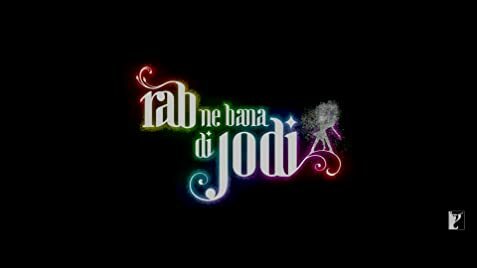 In fact "MOHABBATEIN" carries the same theme of love way ahead of "DDLJ" but in case of "RNBDJ" it's really disappointing. The dialogues are average but yes Shahrukh is surely over the top... but isn't that the reason why he is where he is today. no character has to justify their actions but for the fact that they are driven by their emotions... which is pretty common among common human beings.. The problem I have is with what exactly message the movie wants to spread? I feel that the movie is trying to say, love first other things later. Other things including personal relationships, office work and careers. But to be honest, I didn't like this movie much, and after seeing about 100 Hindi films since then, I still don't like it much. It has some great songs that are almost completely destroyed by the ancient and I still can't sit through the endless love stories of the couple. You don't have action thrills suspense but those going for Shahrukh Khan's film, can watch the movie. Since the film is coming with high expectations many won't find it up to their thoughts. Overall, the story and the execution is a let down. The performances are decent and the movie sure has some light moments that would make you smile and laugh. The film fits all generations, families and ages and it can be expected to be a hit film. At the all important box-office, the opening has been surprisingly not upto expectations for such a huge film. It should pick up over the weekend. Going past the Week 1 figures of either Singh Is King or Om Shanti Om seems highly unlikely. 19 of 42 people found this review helpful. Was this review helpful to you?